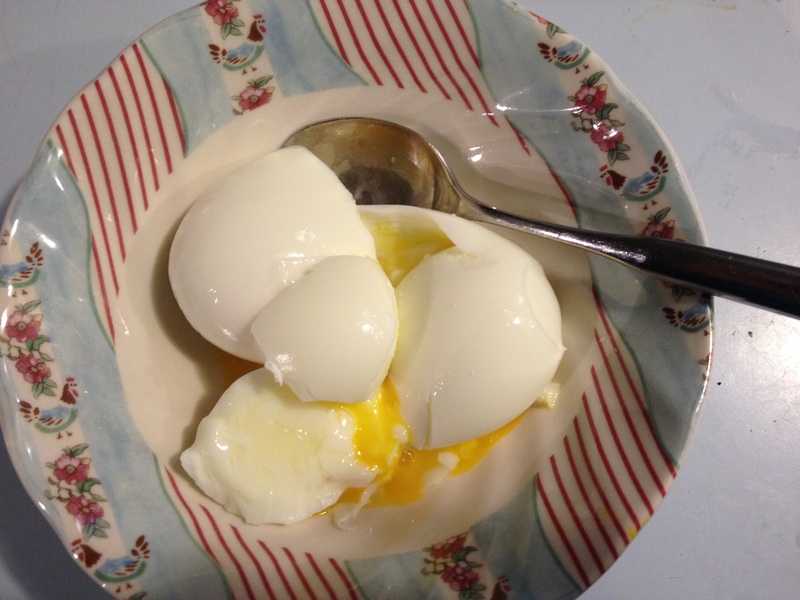 So with all the interest in high protein low carbohydrate diets, I have been eating soft boiled eggs for breakfast. To learn how to prepare these eggs perfectly, I went to the experts, Cooks Illustrated. They test hundreds of methods for each recipe. Their Soft-Cooked Eggs are perfect every time. Make sure to use a digital timer. No guessing allowed. 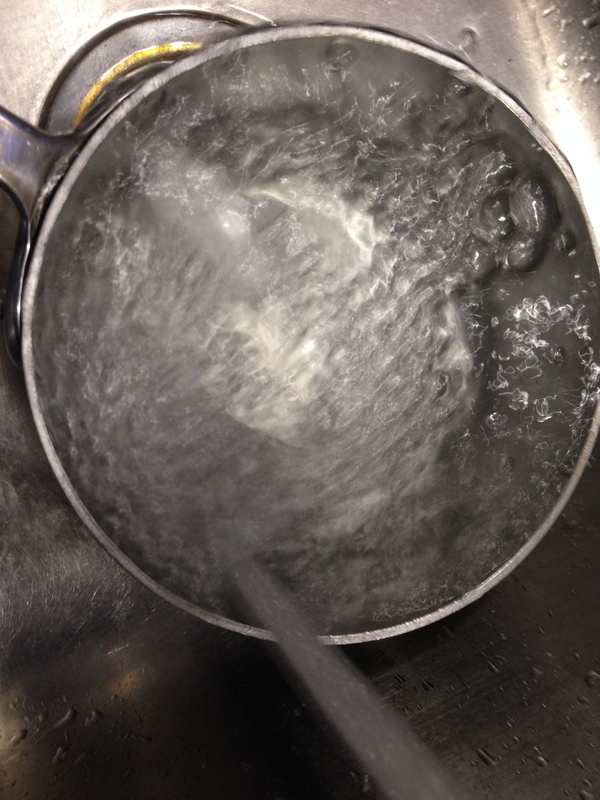 In a small saucepan bring 1/2 inch water to a boil. This recipe works for 1-6 large, extra-large or jumbo eggs. Eggs must be taken straight from the frig to the boiling water! 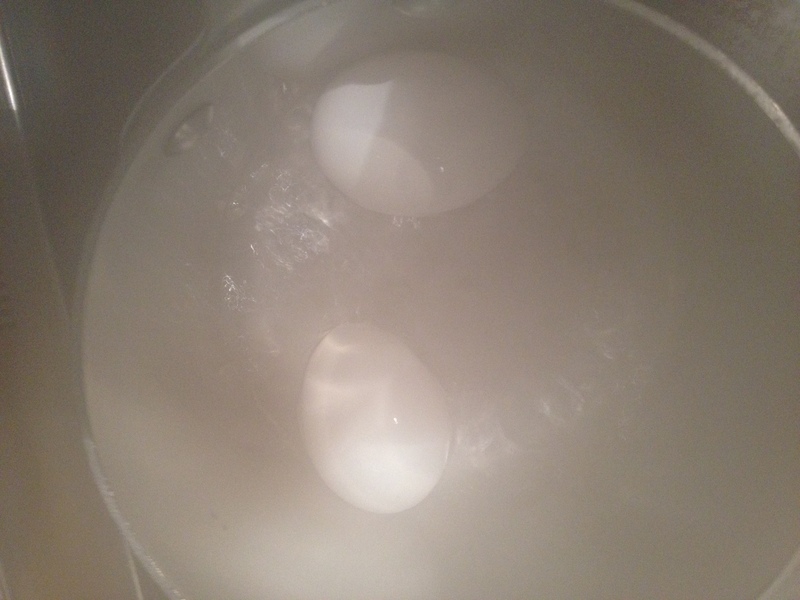 Place 2 eggs in the boiling water and cover. Leave on medium high heat and boil 6 1/2 minutes. When the timer goes off, remove the cover and move the saucepan to the sink. Run cold water over the eggs in the saucepan for 30 seconds. Use the side of a teaspoon or the dull side of a butter knife to tap with one big stroke the side of the top 1/4 to 1/3 of the egg. 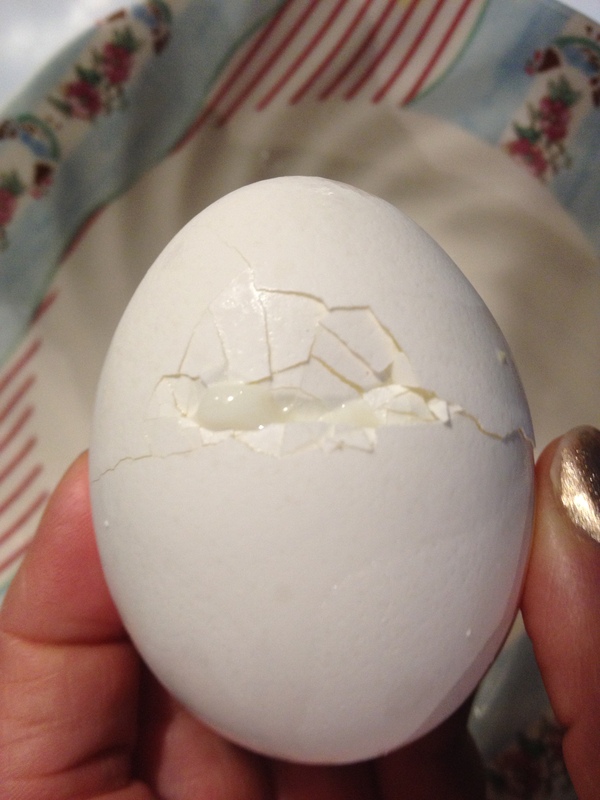 After this scoring, break open the egg with your fingers. Scoop egg out with a teaspoon into your serving bowl. You may prefer to eat the egg straight from the shell, but you’ll need one eggcup to hold each egg. 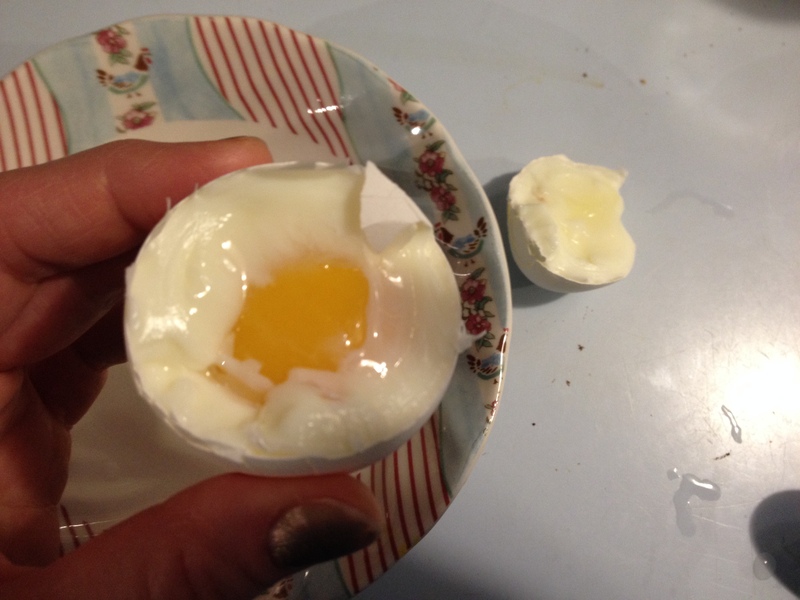 Posted in breakfast and tagged eggcup, eggs, low carb, soft cooked. Bookmark the permalink. Carl loves these– thanks for the detailed directions!